Exporter of a wide range of products which include shrink tunnel, stainless steel shrink tunnel, pe shrink tunnel and heat shrink tunnel machine. With our in-depth knowledge and experience, we are highly engaged in manufacturing and supplying an exquisite assortment of Shrink Tunnel. It is widely used in the bottle or cup body of beverages, pharmaceuticals, cosmetics, pesticides and other industries glass bottles, plastic bottles, cups, and other containers. The distribution of low-pressure steam drum and spouting way of steam are uniform and designed with the seamless tube. The nozzle is divided to be adjustable three segments and the height, position and steam output of every segment can be adjusted respectively to gain the perfect shrinking effect. With hard earned industrial experience and technical knowledge, we are providing all-encompassing range of Shrink Tunnel. Our offered shrink tunnel are widely used in industries for design with two or more zones for heating and controlled cooling. 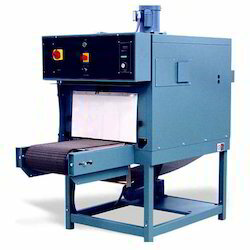 These machines uses forced air to improve convection for effective functionality. Widely used in wrapping and packaging, these products are available with us in wide stipulations. 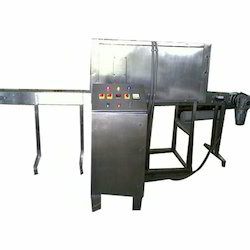 Tunnel Opening Size As per customer product requirement. Power Supply As per machine design. We are successfully ranked amongst the top most manufacturer and supplier of Stainless Steel Shrink Tunnel. The machine is made of stainless steel and high quality aluminum alloy, structure in reason, tighten, adjustment conveniently. In addition to this, the transmission of this machine can be adjusted conveniently without tools, which makes it more suitable for bottle sizes. Also, our products undergoes stringent quality checking procedures in order to supply flawless range to customers. We are instrumental in providing a broad array of PE Shrink Tunnel. It is commonly used for sealing and shrinking packaging various products, such as general foods, electronic products, stationery, gift boxed, daily appliance, medicine, salted products, hardware, tools, bamboo and wood products. In addition, our offered PE shrink tunnel is provided on numerous specifications at industry leading price within a confined time. 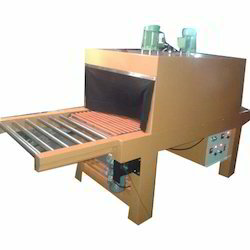 These machines are employed with infrared ray titanium heater tube for greater heating capability while saving power. Efficient hot air circulation in the oven combined with uniform temperature distribution provides fast shrinking performance. Outfeed 6” from the tunnel chamber on S.S. Idle Roller. 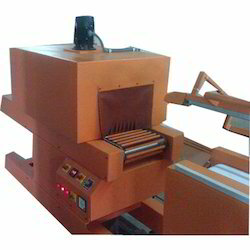 Backed with a team of immensely creative engineers and adroit professionals, we are engaged in providing a supreme quality Heat Shrink Tunnel Machine. 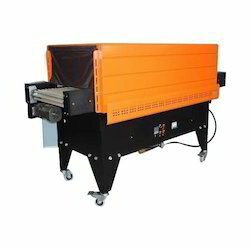 Suitable for large quantity shrink wrapping industries such as software, foodstuff, cosmetics, printing, pharmacy, flooring, ceramics, beverage and , we provide this heat shrink tunnel machine in several specifications as per client’s requirements. Assembles one horizontal and one erect sensor for the entrance to the sealer it is easy to switch over, even for some thin products. Looking for Shrink Tunnel ?